Finally, after a week in India, we arrived in Hong Kong. I’ve been to Hong Kong several times before (including a month’s stay for work) so it was all pretty familiar to me. That said, in my previous visits I had not channelled my attention towards the food of Hong Kong, and this time, I was determined to sample as much as I could fit into our stay. Luckily the India trip had shaved off a couple of kilos. Our first proper meal (after a long nap in the hotel) took place in Causeway Bay at Tonkichi, a Japanese restaurant that specialised in Tonkatsu and Seafood. Having lived in Japan before, I’m a huge fan of Tonkatsu, which is essentially deep fried, crumbed pork, usually served with this sweet dark sauce and mustard. Unlimited refills for the accompanying miso soup, rice and cabbage. And so I ordered the pork loin, while my wife ordered the chicken (also crumbed and fried). 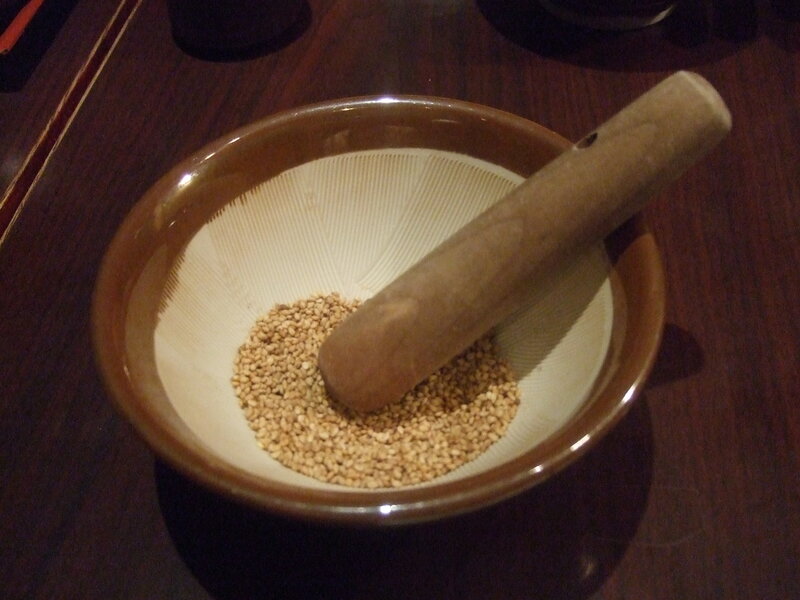 Tonkichi did a decent imitation of the stores from Japan, giving us a bowl of sesame seeds to grind ourselves and mix with the sauce. After a short wait, the meal arrived. 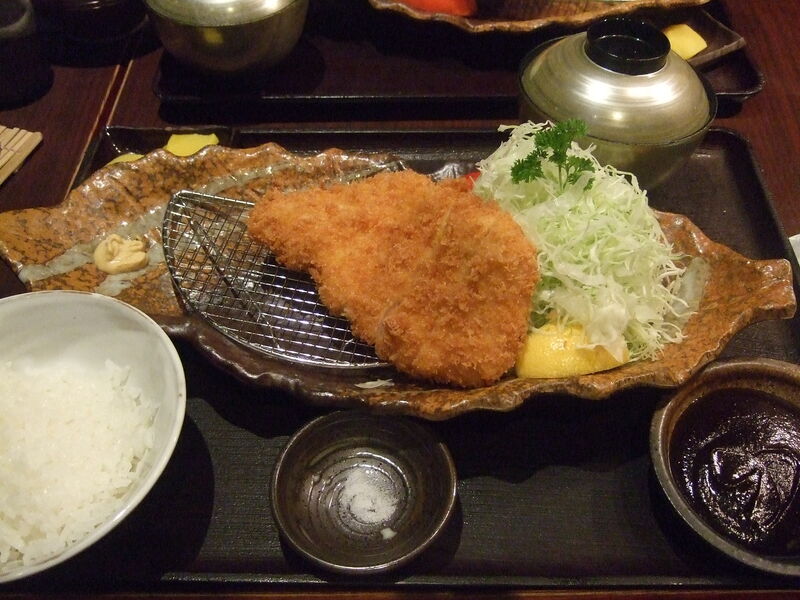 It sure looked good, reminding me of some of the best katsu I’ve had in Kyoto. As for the taste, well…it’s never going to be as good as the stuff you can get in Japan, but in Hong Kong, it’s not a bad substitute. The crumbs were crispy and the meat was tender, albeit slightly dry. The salad dressing was tangy but light. The rice was fat and fluffy. Not much to complain about, but I’ve had better. Nevetheless, not a bad start to Hong Kong!